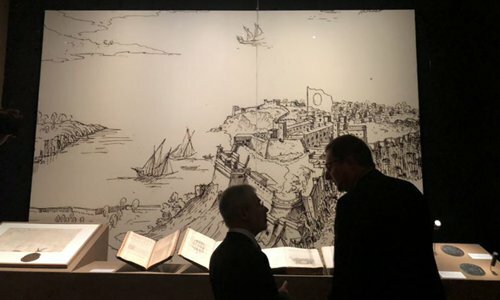 The opening ceremony for the Prince and Princess of Monaco - An European Dynasty (13th - 21th century) exhibition was held at Beijing's Palace Museum on Thursday. 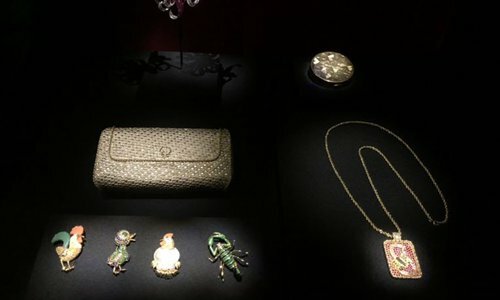 Featuring paintings, clothing, utensils as well as jewelry, the exhibition aims to give visitors a closer look at the 700-year-history of Monaco's House of Grimaldi. "The exhibition is arranged chronologically, with 271 collections in four units to sketch the history of Monaco," Thomas Fouilleron, the curator of the exhibition, said at the ceremony. The first section of the exhibitions covers the shaping of the territory and the establishment of the monarchy. 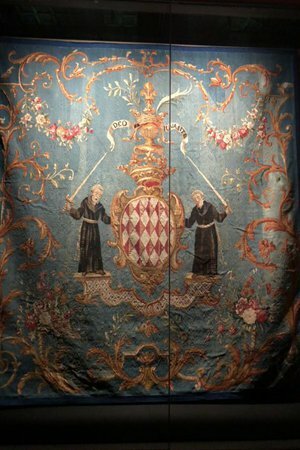 "Look at this tapestry," Fouilleron said, pointing at an 18th century Aubusson Tapestry, a highlight of the exhibition, "the red and white shield symbolizes the badge of Genoa, which is the hometown of the Grimaldi Household." Fouilleron pointed out that the two friars standing by the shield and holding swords represent "protection of the House of Grimaldi." Lasting for more than 700 years, the House of Grimaldi was one of the world's longest-lived dynasties. Founded in 1297 by Francesco Grimaldi, the Grimaldi have kept successions in their own principality to this day. The second section tells the story of the small principality while Prince Honoré II was in charge of the protection of France, the dominant power among European countries at the time. One of the prominent collections in this section is the Princely Throne. It was made in 1881 by Félix Alfred Ternisien, who once worked for Emperor Napoleon III. With the pattern of Charles III of Monaco's crown in the middle of its back, the chair is extremely elegant and embedded with gold and silver. The third section, The Invention of Monte Carlo: A New City, covers the history of the French Revolution. As a radical economic restructuring took place in Monaco, the new Monte Carlo district became the cultural hub of the country. Last but not least is the Global Outreach section, which covers how the young Prince Rainier brought Monaco a worldwide reputation. Prince Albert II, an art collector environmentalist, making Monaco heard by the world on sustainable development issue. The last two units mainly focus on jewelry and clothing belonging to the Monaco royal family, including dresses from Grace Kelly (1929-1982), the famous US actress who married Prince Rainier III. This is not the first cultural exchange to take place between Monaco and China. In September 2017, more than 250 items that once belonged to the Kangxi (1661-1722) and Qianlong emperors (1735-1795) traveled from Beijing to Monaco for exhibition The Forbidden City in Monaco：Imperial Court Life in China. "Last time we introduced our own history to Monaco, this time is their turn to show us the history of Monaco," Wang Yuegong, director of Palace Museum's Imperial Court Life Department, said during the ceremony. The exhibition will open to the public on Friday and end on November 11.